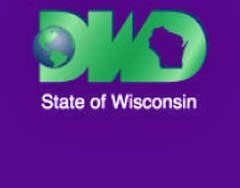 Wisconsin&apos;s unemployment rate for February was 8.8 percent, up 1.1 percentage points from January&apos;s rate of 7.7 percent, according to numbers released today (PDF) by the state Department of Workforce Development. The rate was 3.7 percentage points higher than the rate of 5.1 percent for Wisconsin in February of 2008. The national rate for February was 8.9 percent, compared to 8.5 percent in January and 5.2 percent in February 2008. From January to February, total Wisconsin non-farm jobs decreased by an estimated 19,400 to 2,734,400. Goods Producers shed 14,800 jobs, led by a loss in Manufacturing of 11,300 jobs. Service Producers lost a net 4,600 jobs over the month, led by a decline of 6,400 jobs in the Professional and Business Services sector. Over the year, February 2009 showed a decline of 89,600 Wisconsin non-farm jobs. Goods Producers lost 52,800, mostly in Manufacturing, which was down 40,500. Service sector jobs declined by 36,800 over the year, led by Professional & Business Services, which lost 26,600 jobs. The January survey of Wisconsin households showed 8,400 fewer employed compared to January, and 74,000 fewer employed than one year ago. Wisconsin&apos;s civilian labor force increased 27,200 to 3,103,600 in February, an increase of 40,500 over February 2008.